Note: original recipe called for “2 ounces thinly sliced deli turkey, chopped” … I used Morning Star soy bacon instead. In a food processor, process croutons until ground. Sprinkle evenly onto the bottom and 1 in. up the sides of a greased 2-qt. baking dish; set aside. In a large saucepan, saute the onion, red pepper and Morning Star bacon in oil for 3-5 minutes or until vegetables are crisp-tender. Add garlic; cook 1 minute longer. Add spinach; cook just until wilted. Stir in flour, salt and pepper until blended. Gradually add milk. Bring to a boil; cook and stir for 2 minutes or until thickened. Transfer to a large bowl. Stir a small amount of hot mixture into egg yolk; return all to the bowl, stirring constantly. Cool slightly. Add cream of tartar to egg whites; beat until stiff peaks form. 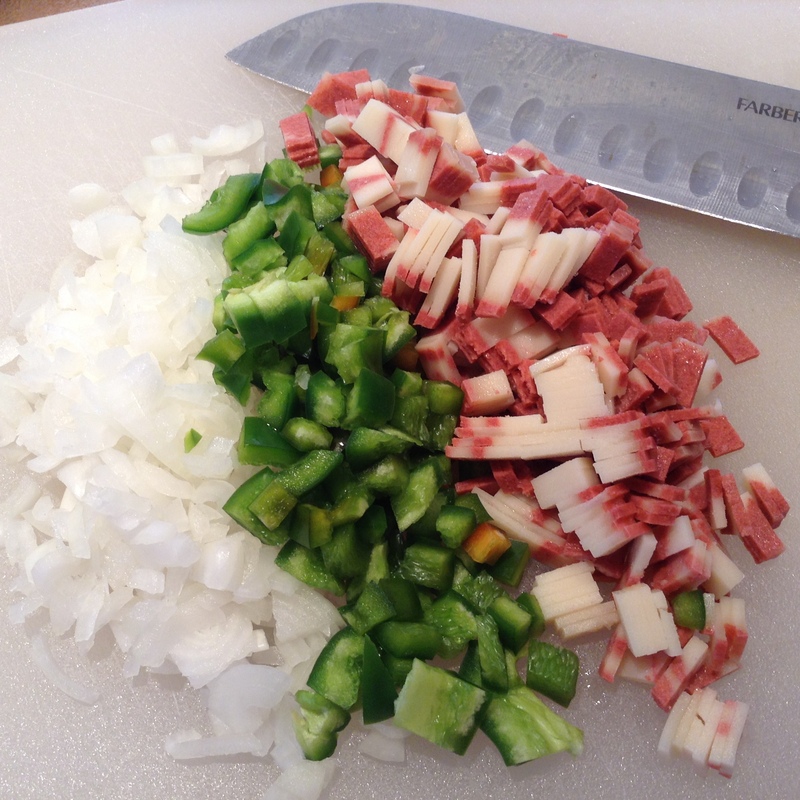 Fold into vegetable mixture. Transfer to prepared dish; sprinkle with cheese. Bake at 350° for 35-40 minutes or until top is puffed and center appears set. Serve immediately. Nutrition Facts: 1 serving equals 223 calories, 9 g fat (3 g saturated fat), 73 mg cholesterol, 843 mg sodium, 20 g carbohydrate, 2 g fiber, 16 g protein. Diabetic Exchanges: 2 lean meat, 1-1/2 starch.